There’s nothing like a piece of jewelry to make you stand out and show off your personality, especially a piece of customized jewelry made for you and you only! 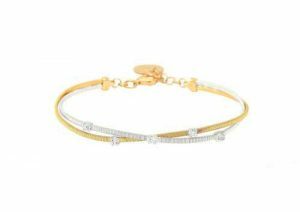 Jewelry Design Gallery is the destination for custom-made bracelets in all kinds of styles, from gold chain styles to diamond bangles. With over 33 years of experience in the business from jewelry sales to design and repairs, we live, breathe and love everything that shines, sparkles and glimmers. Our jewelry design team is the experts on everything you need to create your jeweled dreams. From utilizing the latest CAD/CAM and 3-D printing technologies, to working one-on-one with clients from the original molding and casting to setting stones, our designers will bring your jeweled inspiration to life. We can use any gemstones and a variety of metals, to make bracelets of all styles. Whether you want to play with different diamond bracelet designs or chain bracelets or bangles, we will work with you until the finished piece is the exact jeweled vision you’ve been dreaming of. Visit us and learn how we can design the perfect custom bracelet for you today!